Product #21763 | SKU 545GB | 0.0 (no ratings yet) Thanks for your rating! 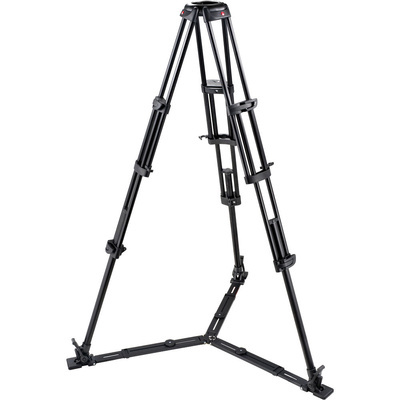 The Manfrotto 545GB Professional Tripod Legs with Floor Spreader is professional video tripod legs for loads up to 25 kg. It is an aluminium, black, 2-stage support with a floor spreader. This tripod offers great torsion rigidity for exceptional stability for indoor applications.